Speakeasy Tour - "The Hard Stuff"
I'm planning my first themed Speakeasy tour - this one, on Friday, June 21, will be the last one before the fall. This one will not focus on everyday apparel, but will give you information and resources for doing "the hard stuff". Leather, suede, closures, embellishments, and home dec stuff, where more guidance may be needed to get the job done. This tour has a more educational purpose, and will include resources for supplies, appropriate tools, and general information on how to work with them. Note: You can sew leather with your home machine. The cost of this guided, efficient tour is $90 per person. If you use this trip to shop, learn, avoid wasted purchases/effort, and participate in what the NYC Garment District has to offer, you will save at least as much as you are paying, and potentially far more. Wanna come? Click below, send payment, and the details on meeting time/place will be provided. Come along on a tour! We have lots of fun! I reread this post I wrote a few months ago, thinking my recent conversation with Leonard Bernstein might have changed my mind about many of the points I make here. Actually, I still stand by just about everything I said here, but I have been enlightened and broadened by the information he shared with me... and now I can share it with you. Stay tuned for my next post! And read this one, if you didn't read it in February. 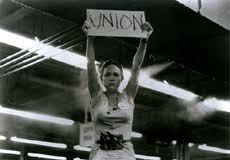 Well, I'm no Norma Rae. I'm not even sure where I stand on Unions. I may not mount workroom tables, holding a bold cardboard sign over my head, but I do have a passionate drive to keep the garment district going strong, as it matures into whatever the future has in store for this magical place. To make this happen, people have to earn paychecks. The kind that keep them fed, clothed, and sheltered. We ALL benefit from exchanges that honor the people contributing to the effort of manufacturing at every level. We all have a human obligation to respect, encourage and protect each other. That is a fundamental fact of life, not just in the garment industry, but everywhere. Running this blog, visiting stores and businesses, being a dressmaker, and having so many contacts within the industry, I sometimes feel the pull of the soapbox. "Who will listen to me?" I think. It is very easy for others to give me an encouraging pat on the back, while doing nothing about the decline of the garment district themselves. "What do I know about all of this, anyway?" I often console myself by claiming not to know enough, by claiming to be "just" the tiniest of tiny voices in a huge, competitive industry. But, actually, I know the truth. Who isn't "just" a tiny voice? Someone has to pull out the soapbox, raise a sign, and put a voice to the problem I think we seem to be collectively ignoring. This post may be controversial, but I do hope it stirs up some great conversation. And action. There must be action. In advertising circles, I know that they talk about getting people to see information by appealing to them in different ways. Some like to look at pictures, some are drawn in by the words, some are lured in by emotional stuff, and some just want the data. I'm going to give you all of those elements here. Whichever type of person you are, I encourage you to open up all of your senses to really take this post in. At the end, I am going to require something of you. I'm not actually asking. Your help really is needed here. Step 1: Go to the mall, or wherever you actually shop for clothing. Look at the clothes, look at the fiber content, the construction, the countries of origin, the fit (try something on) and the price. Imagine who might have made it. What his/her life might be like. Good or bad, they live that way because WE buy the goods they make. Does that hurt to hear? Whether high end or low end, environmentally conscious, or generically anonymous clothing sold at a huge discount retailer, you have a mental picture, correct? What you can do: Buy the things you feel good about buying, considering all aspects of how/where/by whom it was made available to you, and don't buy the ones you don't. What I can do: Tell you about companies who are making things in a socially responsible way, no matter where they are actually made. Let's start... click through for a great list of businesses who make their goods in the USA, where we have labor and wage laws. I know my audience is broader than just the USA, so I encourage any of you to think about your own political views, values and loyalties as well. Tearjerker alert... Watch this old commercial. "Our wages going... to feed the kids..."
Step 2: Go to the Garment District in New York City, if only to take a walk. Look at the stores you see there. In your opinion, can it still be called the garment district? Who occupies most of the real estate? Step into the fabric and notions stores. How much transacting are you seeing taking place? Are you buying? If so, great. If not, why not? Is there anything you are looking for that you can't find? Step into the Fashion Kiosk (at the big button) and ask your question. Be advised, they are there to give you information, not guarantees or recommendations. Meet and greet to get your own feel for the suitability of the business(es) they direct you to, and follow the path where that inquiry leads. If you go anywhere that I've sent you, tell the proprietor that you learned about them on my blog. What you can do: Read this post to get an idea of which garment district stores sell the kinds of things you want to buy. Then, buy something. Note: Even if the online vendors mentioned aren't in the NYC garment district, they are a "middleman" or fabric curator, since much of the fabric they sell still comes from stores in the NYC Garment District, anyway. So, in the end, it still benefits the same vendors. What I can do: I can keep finding great new places, and notice improvements to old ones, and share that information here. Step 3: Know this. A clothing designer isn't going to build a factory just to make their clothing here. This tells me that we have to take more than a few huge steps to change the aftermath of the battle we've already lost. Yeah, I said it... We're fighting a war that is already lost. If you feel I am mistaken, I would love to know why you feel that way. Convince me. I'd love it. I have spoken to enough bigwigs to know that I am not the only one who feels this way. I will give you direct quotes from influencers who did not give me permission to share their names, but who can feel more than welcome to claim their (paraphrased) quotes in the comments following this entry. "Only the small designers will have their things made in the garment district. The goal, for anyone, is to get the kind of volume they need to go offshore. Otherwise, they just can't keep up." "I wish the Ralph Laurens and Gap would produce their garments here, using American notions, supplies and labor. I mean, really? Even they can't produce here, with the sales volume they have?" Now go to the Imogene and Willie site. Again, not asking. Telling. Sorry to be so bossy, but I must, in this case. Read the page you find after clicking the link above, so that you are understanding what you are about to see below. Then watch the video, and whether you come back here, or stay there, do something. If you aren't moved, I think you might be made of stone. What you can do: Listen to the idea given at the end of this video. Give it serious thought. Understand what their story is symptomatic of, and open yourself up to the big picture. 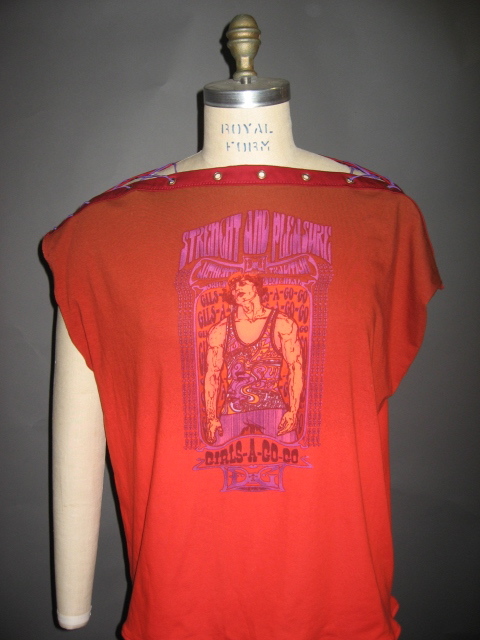 Go to the Save the Garment Center website. Follow any of the suggestions that move you. Kinda 1960's maybe, but real. Hey, gotta start somewhere, right? Are you a designer? Can you be a part of making something happen? Somewhere? Also, read the article about designers and the garment district here. What I can do: Listen to you. Comments, please. I'll be going to the DG Expo today. Will you? A little of both... it seems! Serendipitously, I heard about this book, which is a collection of short stories inspired by one man's life and experience (read a related WWD article by clicking through the link) working in New York City's garment district. "The best part is, not only does Leonard have an incredible wealth of decades worth of experience, but he's entertaining and genuine. " said his publisher. So, with their permission, I called him up. And... the story gets even better. I had the pleasure of meeting him yesterday, and the information he shared with me was MIND-BLOWING. 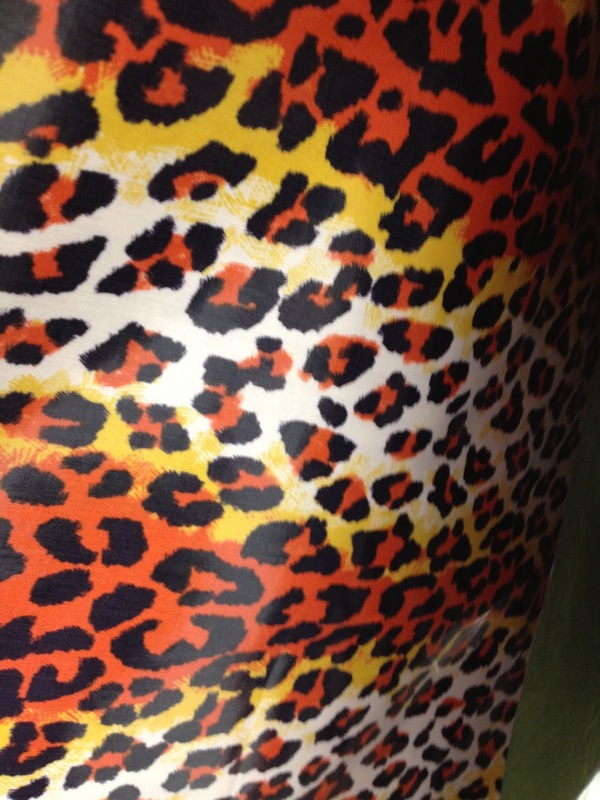 This great ombre signature print T-shirt fabric is from Elliott Berman, and the contrast is from Rosen & Chadick (contrast is also used to make a slim, short skirt to wear with it). I had the grommets installed at Star Snaps (in just a few minutes, actually... extremely inexpensive... and PERFECTLY), and the lacing is from Daytona Trimming. Two slightly shaped and zig-zagged rectangles. That's all it is. And what does the text mean? Who knows... who cares? I like the colors. Nope. I'm not one for doing cheeky poses to show pieces on my body. I'm neither "movie star" nor "Everywoman" - I just prefer to let a piece make its appearance on its own. The Daytona Trimming salesperson didn't wholeheartedly agree with my choice for the lacing, causing me to second-guess myself... and then I actually found children's shoelaces at Foot Locker that I thought were a more perfect color and weight. 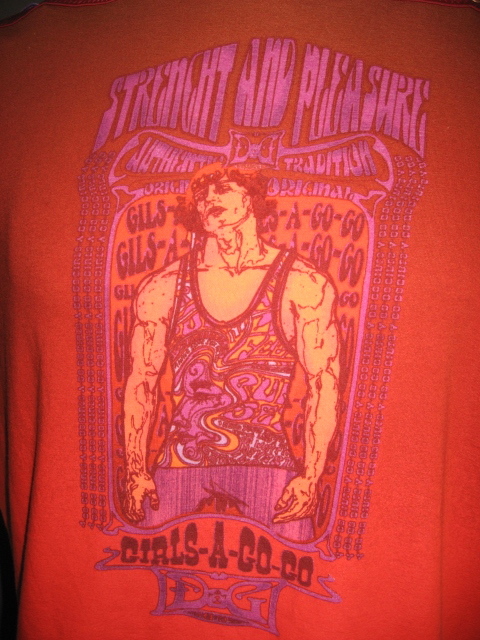 Once the shirt was finished, though, my original Daytona choice was the right one. I appreciate his input, but the lesson here is: Trust your gut. Glad I bought it anyway. At Rosen & Chadick, the group was pretty tired after so much stimulation, but we saw much loveliness. At Metro Textiles, our buddy Kashi had piles and piles of fabrics to behold, some of which I literally had to peel myself away from! At Pacific Trimming, we found all sorts of lovely buttons, Riri zippers, accessiories, and tools. I was personally inspired by the things I saw that I have NO IDEA what to do with! It really opens you up to creative solutions! After a lovely lunch, the group was gently led into the wonderland that is Fabrics & Fabrics. Pretty sure that left everyone speechless. By the way, you have seen their new website, haven't you? The next tour is May 24. This tour offers a special discounted "Bring a friend" rate! If I cancel a tour for reasons not related to weather, acts of God or other emergencies, you are entitled to your choice of a full refund, or a future tour. Note: If you were on this tour, there is only one of you for whom I can't find contact details for the lunch credit I promised you. (You are one of my NY'ers that day) If you are reading this, please get in touch! So, with my considerable hours of free time... (wild laughter ensues) I would love to make an umbrella. Actually, several umbrellas. Problem is, I don't know how! 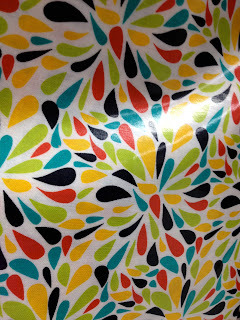 Guess who makes a pattern ($10.50), sells a frame (kids -$24 or adult -$13), and the right coated fabric to do the trick? City Quilter does. I don't want mine to look craftsy, like something that says I made it myself. 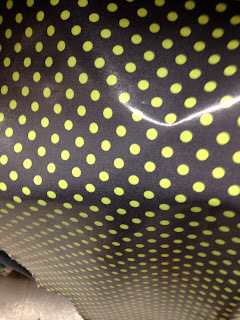 I can likely make a quality umbrella, but the print choices at City Quilter for the umbrella are a bit too "crafty" for this girl. Nothing wrong with them, but if I'm gonna take the time to make one for myself... well, it needs to reflect me, and NYC, ya know? 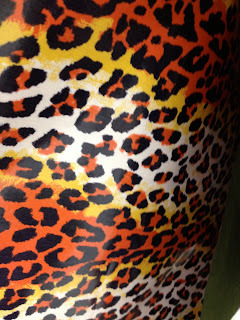 My fabric answer is here. Okay - so next question... how much should one "invest" to make an umbrella? One thing I know... I'll NEVER, EVER lose it!!! And, because so much stuff happens in my head, here is the musical inspiration that shouted at me to make a super-happy NYC-friendly umbrella... Can't get it outta my head now. Yesterday, I stumbled into the Museum at FIT to see the "Shoe Obsession" exhibit. 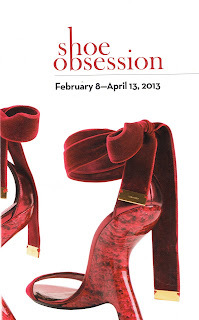 I do not consider myself to be among the shoe "obsessed", but as a sculptural exhibit, wow was it beautifully curated, and definitely food for creative thought. While one extraordinary pair of shoes relentlessly called my name, I wandered the room, listening to the conversations people were having. Amid the gasps and purrs, I heard "You'd need to have a big, strong man next to you to walk in those shoes." and "No... no... you can't buy them. We're just looking at them. No, there is nothing to buy here!" What did I learn? Above all, shoemaking is an engineering challenge. You have to understand the anatomy of the foot, the balance points, and the motion of walking, running, and standing to create a show that actually works. To give it beauty, on top of all of that effort? Now, that's a feat! My advice is to watch the video upstairs before seeing the exhibit, because it will help you to think differently before you enter. This is an exhibit you can appreciate just on its surface, as in "Oh, look! Pretty shoes! ", and well as "Whoa. Maybe those aren't just expensive shoes after all... Maybe they are works of art." Either way, great for your brain and heart. Oh, and your pocket. You can't buy them! or even try them on! Not in New York? Watch the slideshow. Wanna see it? It closes this weekend, so hurry up! Then, I stumbled upstairs to take a peek at the Fashion and Technology exhibit. The name of this exhibit didn't inspire me, but I just thought I'd check it out. And wow... Wow. What I saw, was an amazingly well curated and explained collection of inspiration, design "magic", and innovation, that I was totally blown away. Can't get to NYC? See the the online version. 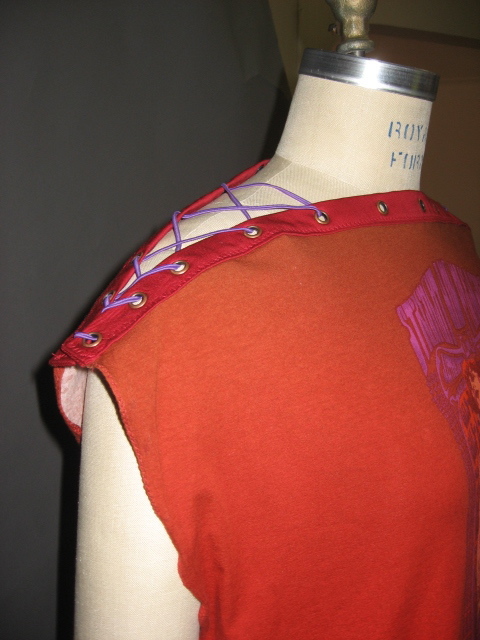 Fashion "will renew itself through technology, new fibers, new ways of making clothes. Without risk, nothing changes the world." -Ariele Elia and Emma McClendon, curators. Every single time I decide that fashion is frivolous, silly, and I need to think about other things, I am re-energized by this amazing museum. I think about how many exhibits there have just moved me practically to tears, and I am just thankful that they exist, educate, and remind me of the importance of this art form. I'm in. Yes, I'm still in. Fabrics & Fabrics has launched a new website, and it is amazing. You are literally among the very first to know. The photography is particularly great. Just visit, and you'll see. But ultimately, my color moods are likely influenced by the palette I find in the fabric stores, refelecting current and upcoming seasons. 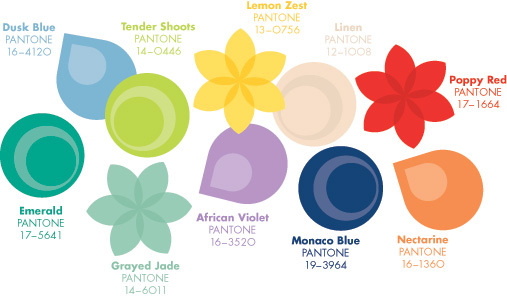 Being "in fashion" isn't important to me, but, out of curiousity, I looked up the Pantone color forecast for spring 2013. No longer a "forecast", as much as a "currentcast", with the exception of nectarine, the colors don't particularly speak to me. I am loving the idea of that deep, blood red as my new "neutral". I would love some shoes that color. 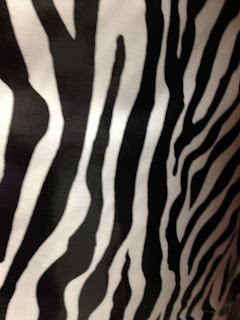 Keep your eyes open for the upcoming post, showing this color and others in some new pieces I've recently made. That approach has grown tiresome for me. While I do a "Speakeasy" tour, for me the "pssst" factor is not a gimmick. One thing about the garment district in general, is that the stores are constantly rotating inventory. 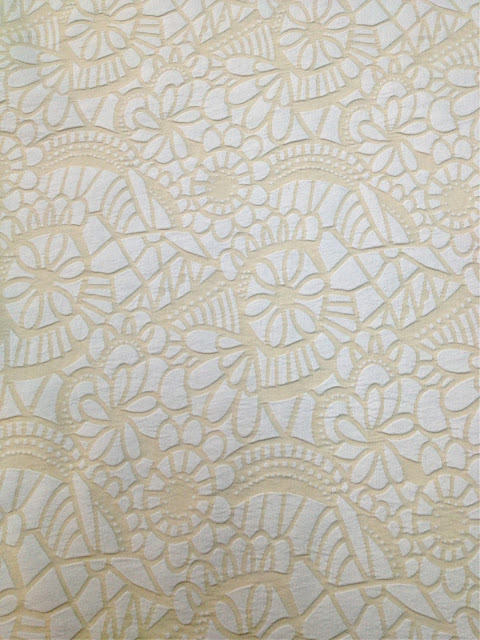 New things to see, new shipments of fabrics, new suppliers, vendors' fabulous scores on overseas buying trips, and new fabrics and notions to delight and excite you. I do the research first, find out which stores have the fun offerings of the moment, see who is a good match within the mixture for each speakeasy trip, and avoid the obvious, most popular spots you can easily find on your own. At the end of our time together, with hours left in the shopping day, I set you free with your own Speakeasy map, mentioning new finds, exciting finds, hard-to-finds, and more. After lots of time spent scouting before the tour, I grabbed a couple of energetic folks to join me in an extra stop, that didn't fit within our pre-lunch timeframe... and oops, a bit of my own shopping. I picked up a length of soft cotton fabric I couldn't resist. Participants on the tours are free to take and share photos, as long as participants agree, but I am notoriously absorbed and averse to experiencing something this fun through a camera lens, so instead, I am extremely present for the tours, and deliriously happy doing them as a result. I hate seeing myself in "candids"... I am neither a supermodel, nor an everywoman, so I feel that I always stick out a bit in photos, and frankly, it weirds me out. While all are welcome, This recent tour had a wonderful blend of people creative and confident enough to just open themselves to what is fabulous, bringing their own ideas, plans, dreams, and patterns along for advice and consideration. We topped off our visit to six fabric stores and one notions store with a great NYC prix fixe lunch (prepaid in the Speakeasy fee), and our fun Australian in the bunch got to try a knish! Offerings for any common dietary concerns (gluten free, vegetarian, etc.) are on the menu, with no extra charge. Scowling... And it was worth every *bleepin* dime. So, where did we go? I'll tell you soon (after the next tour), since some are doing such exciting things, we may need to visit them on the next one, too! The next Speakeasy is April 12. No others are planned right now, but I will add future dates soon, as my schedule permits. Note: I will be adding a May 24, 2013 speakeasy date shortly. Memorial Day weekend, FYI.